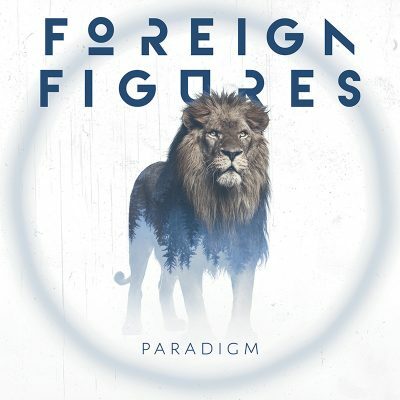 Taking a step forward from their electronic-heavy Come Alive EP, Foreign Figures have eased their first full-length album, Paradigm, into Utahn ears, just under two years from when the Orem-founded band popped into the local scene. Eric Michels’ vocals sound crisp and sultry and had three gentlemen outside my car dancing when I played it. The song that I was playing was “Stay,” when one of the gentlemen told me “Cheers” with his illegal outdoor beer. Jonny Tanner’s guitar work is catchy pop brilliance, so I can’t fault my friends’ enthusiasm for the undeniably magnetic tunes. In “Seasons,” Steve Michels’ perfectly timed drumming lends itself to the collaborative effort that sets Foreign Figures apart from much of the local scene. With so many bands trying to be different, it’s encouraging to hear this group united in the orgasmic pop they create together. I switch the song to “Fearless” because I need Seth Dunshee on bass to transform this idle happenstance with the anthem-like glory of this song. “Alarmed” is my album favorite, and it plays like U2 and Cold War Kids had an adorable baby—so engaging, I almost miss my exit.